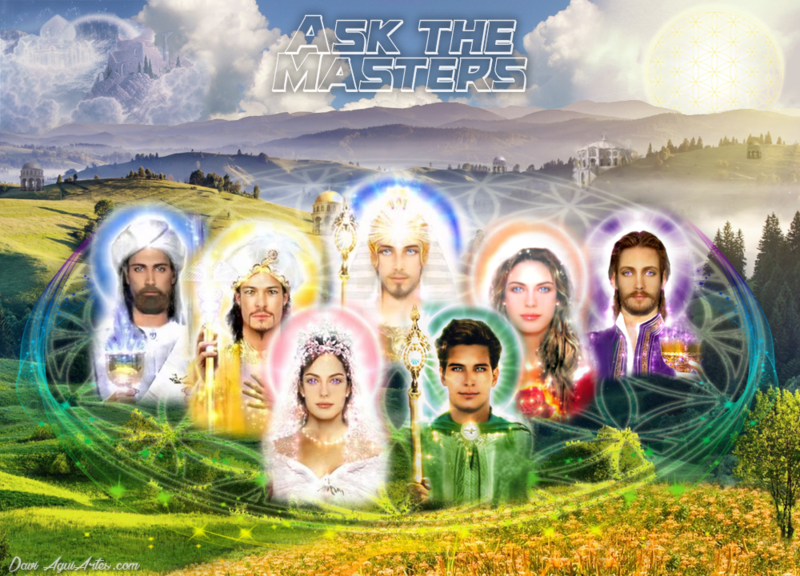 * To send a question to the Masters, go to the website: http://peaceandtransformation.blogspot.com/ and fill out the form on the right side of the homepage. The form remains available only on Mondays. I'm a Saint's mother. I love my religion and I love the Masters who have helped me a lot. We only have animal sacrifice and this is bothering me a lot, I have children of Saint that comes to give obligation. How am I going to make them feel obligated if the killing is bothering me? What should I do? My children want to take care of me, they trust me ... aff that doubt! Help me beloved masters. What do I do? 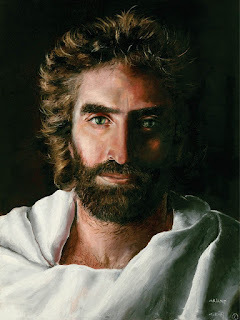 May our Lord Jesus Christ be with you. Daughter, the obligation is of the heart and the offering is of love. The connection is of the soul, no longer needs sacrifice. This comes from a time when we needed to see to believe. But daughter, believe in love, inner energy, the gift of charity that makes the connection of soul, and commitment sealed. The connection is made, my daughter, by the conscience. They are two consciences that bond in charity to one another, to serve Master Jesus at work. So my daughter, forget the techniques, they only served for you to learn how to make the call. But you no longer need it now, you can now follow your intuition and do the work with the power of thought. The techniques of offering only served to teach you, but now you can do the same service without the need to use the way you learned. Use the strength of your heart, because it is he who is calling you to do something new, so beautiful, but now with the heart feeling the energies you manipulate. Stay in peace, my child, and listen to this call from your heart. Good evening, masters, my mother is 60 years old. About three years ago, she fell into a deep depression, she does not feel like living, she only cries all day, she takes strong medicines, but they seem to have no effect. We were also desperate to see her at home. I wonder how can a human being live only to cry, that's all she does. Please help me! Thank you. Her mother lives a life that is the result of the rejection, the feeling of abandonment and hostility that she thinks she has suffered. She sees herself as having not been accepted into her love, feels wronged by people who have not known her. But everything is her point of view. But these feelings have taken her from the soul's purpose, and now, further on in the path of life, she experiences problems that many suffer from the lack of inner search. It was a time of exaggerated beliefs and conventions, many beliefs, of many conventions, and all this resulted in a woman who did not give herself to life in her feelings, lived as she was taught and how she could. You did the best. And the result is this inner suffering, this abandonment that leads to deep sorrow, the result of the imbalance of a life. To restore this balance, she needs to work energetically on her records, which no medication will do. Your mother needs energetic treatments like Homeopathy, Reiki, Quantum Healing, Theta Healing, which will progressively re-energize. But with the improvement you feel, you should not interrupt the treatments, as this is the result of the accumulation of a life and needs to be treated and cared for with a lot of love so that it recognizes itself in all its value. It will be a slow procedure of cleansing and releasing the accumulation of inferior feelings. I found my Soul Mate, but we have a problem that is making it difficult for us to be happy here in this dimension. I still do not have my financial freedom to be able to find it as we would like. Because of this problem she can not open herself as she would like me to. Will I be able to overcome this barrier and will it be able to overcome its internal barriers to be finally happy? I can assure you that this is not a meeting of Twin Souls, or else the affinity would be so instantaneous that there would not be so much questioning. The opening would be something so natural it would not even be questioned. But being Soulmate or not, the important thing is that the relationship be built on solid foundations of friendship, companionship. An encounter in which the barriers will only unite them to the common purpose that they have, and then the opening will naturally occur. The encounter of Twin Flames is not so common in this world, although there are relationships with great affective and energetic ties. Thus, these challenges will be only what can unite them, if there is permission for mutual empowerment. The relationship does not only occur by affinity, but is built through daily Love. Keep in mind, My Beloved One: it is not the relationship that builds Love, but Love that designs the relationship every day. There will only be a true relationship when happiness exists by simple encounter, and there will be no barriers separating them, but only the fact that they have met will suffice for everything. Seek that happiness within you, regardless of the relationship, that you will see that it will build in an empowering way for both, creating bonds of aggrandizement, not resistance. I am trying to understand the professional and financial blockade that I have experienced as a cycle repeatedly in my life ... I still can not find where I need to learn and correct, to be able to liberate and enter into the flow of abundance and prosperity that is right for us and to be able to follow my mission . If you look around you will see that you are alive, that you have a life and that for that alone is already abundant. It is not always easy to understand this in our lives. The greatest abundance is in the Now, in the recognition of inner happiness. What good would all the material possessions you crave, if tomorrow was called by the Heavenly Father / Mother? What did you prepare to give to God? The desires of material goods? When you realize that you have everything you need only because you are alive, you will feel that abundance is already present in your life. You do not allow yourself to feel it, because you search, incessantly, for things of this world that say nothing about your eternity. I could say that this is the lesson and that when you anchor it, you will be grateful to have lived it. You will thank each day that you thought you would suffer a restriction, for it was this experience that made you a stronghold of faith and trust in life. The greatest and only good that we will take from this life will be our own elevation of the soul and it is on this path that you need to focus your energy. When you understand this from your heart, you will feel abundant, for it is already, and then it will come in ways incomprehensible to your life. Abundance is a feeling, and not a material state. It is an inner feeling of gratitude for life and the pursuit of the Realms of God. Whenever I need help with work and money, I feel embarrassed, but I have to. How do I ask the teachers for help? I work with handmade sewing and need to sell. How do I get help and attract the customer? I always put a lot of affection on each piece, but I have to sell it. Excuse me if you can not ask this kind of question. Light and peace always to everyone of the blog. The experience you are experiencing comes to build a fortress within you that will reverberate to bring the necessary preparation to new phases that will open in your life. Be confident in your walk, persist in working with love, and you will see abundance born in your life in every respect. Deliver into the hands of God and stand firm in your faith. It will be graced with the profits that will be brought from the work done with love. For now, that's all we can tell you, my sister. Be radiated in light and love. For some time now I'm having a problem with my root chakra, I think it's hyperactive because every night I wake up several times to go to the bathroom to urinate because of the pressure I feel in this chakra. And this is compromising the quality of my sleep and consequently compromises my readiness for my next day's tasks. I would like to know what is happening to me and what to do to heal me definitively. You are feeling the reflection of a life taken in an unregulated way in relation to food and unhealthy habits before your body and organism. It is not your chakra that is in imbalance, son, but the complete system of the organism that needs attention. Look for treatments related to detoxification (known as "Detox") of the body and energetic balance of the body and will see to improve what bothers you. I have been working with a woman for almost three years, but for me our relationship is not what I wanted it to be, our vibratory frequencies are not well aligned, we have already finished this relationship twice, but we end up coming back because in fact she does not want to accept End of the relationship. I think she manipulated me and still manipulates me to relate to her, so I'm having a hard time finalizing that relationship in a definitive way. Am I right in this remark? I would like help in resolving this situation. Are you leading a situation that does not resonate any more, son? Have you asked yourself why, son? Find out your weaknesses, son, for they are keeping you connected to a situation that no longer resounds son. Open your heart to yourself, look within yourself for what you are unable to put out and truly expose to you, son. Dad here will give you a son tip. How was your relationship with your mother, son? What about your dad? Do you feel loved, son? Are you a prisoner, son? Do you have room to be yourself, son? Did you have that space in your life, son? As much as from the outer side this is not noticeable, inside you is not alright son child. You're missing your freedom, son. Get free and be yourself with courage. The Father knows that you did not live a life where you were encouraged to follow what you feel in your heart, and be what you want, even if it is not accepted by so many people. But who knows, it's you, son. As long as you deny your life, while denying your reality, and your own wishes, son, you will continue to let yourself be carried like a doll by other people, son. Ask for help from the father here, the father helps you, son. Messengers: Thiago Strapasson and Michele Martini – Jan/2017.